Infinity by Marvin window & door products are engineered to replicate the beauty and distinction of traditional wood windows with modern features and performance. Made with Ultrex®: Infinity’s tough, energy-efficient fiberglass - Infinity windows are customizable to meet the needs of any discerning homeowner. Real wood windows are indeed beautiful, but to keep up the appearance and durability of the wood, they can be rather high-maintenance. Infinity fiberglass windows have advanced finish technology to accomplish virtually the same look and detail of real wood with the hassle-free performance of Ultrex® fiberglass. 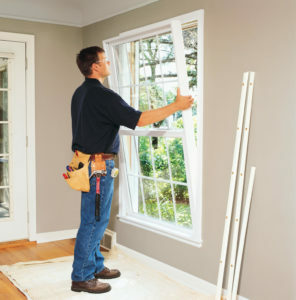 With the seasonal shifts we experience here in Michigan, it’s crucial that your windows help keep the warm air in during the winter, and the hot air out in the summer. The fact is, compared to vinyl and vinyl/wood composites, fiberglass windows contain the lowest thermal expansion rate. This means your new windows stay weathertight and safe from seal failures and air leakage for longer than any other type of replacement windows. Infinity windows surpass all EnergyStar energy-efficiency standards; which make Infinity Windows the clear choice for saving on your heating and cooling cost here in Michigan. doors that we install for you, for as long as you occupy the home. Looking for unsurpassed beauty and durability in your next patio door? Infinity patio doors combine the rich look of real wood and the strength of Ultrex Fiberglass to ensure your patio doors stay as beautiful as they were the day they were installed for years to come. 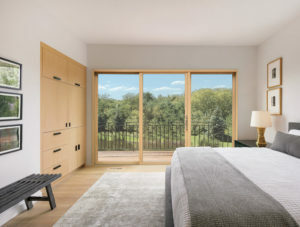 Learn more about fiberglass windows and infinity patio doors.